Team Junkfish is an indie developer working on a new title called Attack of the Earthlings. It takes the tactical RPG standards of humans vs aliens and turns it around in a new and funny way. The earthlings are in charge of a comically dysfunctional interstellar energy corporation called Galactoil. In typical human fashion, they came to the aliens’ sector in space and uncaringly destroyed their home planet in order to further their energy exploitation. This, obviously, did not sit well with the aliens. In a turn of pace, Attack of the Earthlings has players take the role of the aliens known as “Swarmers”. The game plays in turn-based tactical combat mixed with stealth as the swarmers get the drop on the humans. According to Team Junkfish, the game’s humor was influenced by shows like The IT Crowd and Father Ted. The Swarmers are a highly aggressive insectoid species that can convert human flesh into alien muscle, allowing players to evolve their units and become more powerful. The key to Attack of the Earthlings is stealth. Careful planning is a must, emerging from vents or lockers to take humans by surprise or killing multiple units at once to keep the alarms from being raised. 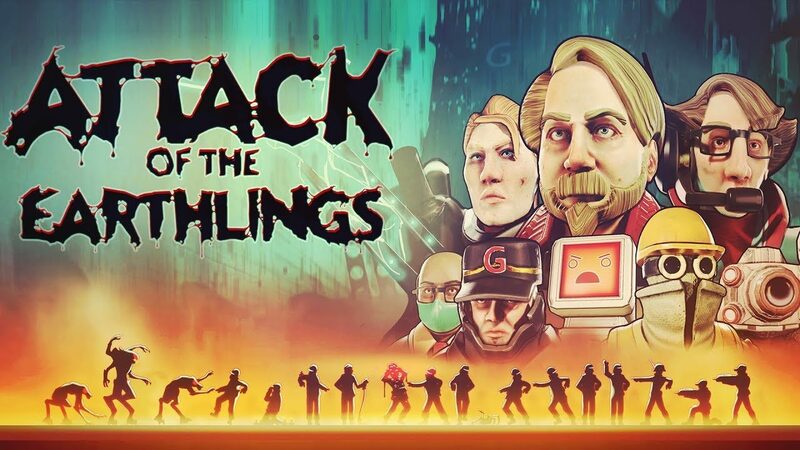 Attack of the Earthlings is set to release on February 8, 2018, on Steam.